I want to highlight rows were A and B are the same but C is not. Bonus points if it can highlight only the row with the lower number, but not necessary. Can I accomplish this with Conditional Formatting, or do I need to write some JS to process this? I am not savvy with conditional formatting and would love some help. I can, of course, solve it with JS but would prefer not to if possible. Not the answer you're looking for? 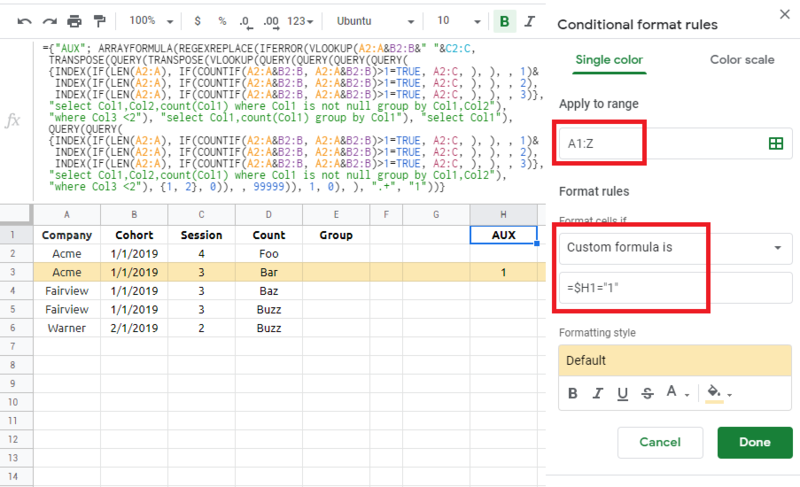 Browse other questions tagged google-sheets google-sheets-query conditional-formatting google-sheets-arrayformula vlookup or ask your own question. How to refer to 'this' cell in a conditional formatting formula?